Hello dearies! How's your day? I've been sweating a lot today and it only means summer has officially started. Do you agree? If you're excited to hit the beach and get that glowing sun-kissed skin, let me share with you my thoughts on what made my skin even toned and glowing. 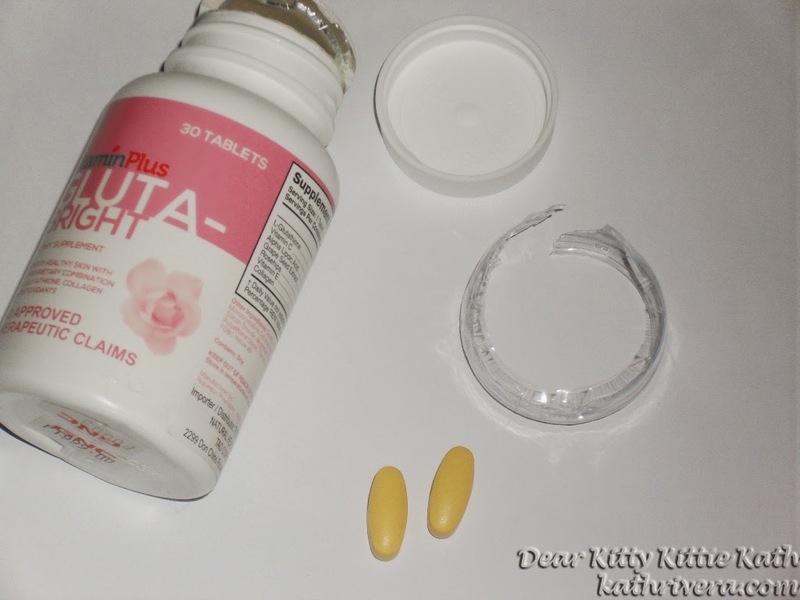 I hope this review will serve as a guide and a recommendation on what whitening supplement you should consider taking after getting tan this summer. 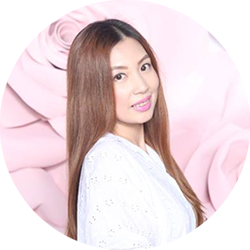 Because there are so many glutathione brands in the market today, I'm sure you're already confused what to choose. Before I start the review, I want you to know that I already have a fair complexion to begin with that's why I've seen no drastic change in the whitening or lightening department overall BUT there's a significant change in the discoloration that I had after a frying incident. I've also maintained my skin tone even if I'm exposed to sun in the afternoon. If you'll ask me, I'll be satisfied with a product that will give me a positive result rather than promises even though it will take a month or two. 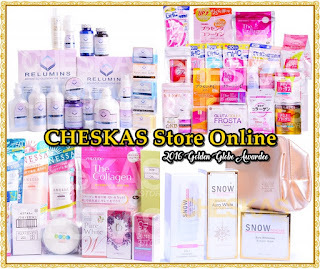 As for skin whitening, the effect of one product varies from person to person. The length of whitening depends on the amount of melanin present in the skin. For example, dark skinned individuals need a continuous use of whitening pills for more than six months before they can see the maximum effect. So I tell you now that taking whitening pills doesn't give you an overnight result. Patience is a virtue so with continuous use, you'll see positive effects. Well-sealed upon purchase. Freshness guaranteed. instruction for use: Take 1 caplet daily with meal. I also take 500mg Vitamin C prior to this capsule. ingredients: Dicalcium Phosphate Dihydrate, Microcrystalline Cellulose, Stearic Acid, Croscarmellose Sodium, Silicon Dioxide, Magnesium Stearate, Polyvinyl Alcohol, Polyethlene Glycol, Titanium Dioxide, Talc, FD and C Yellow #5, FD and C Yellow #6. 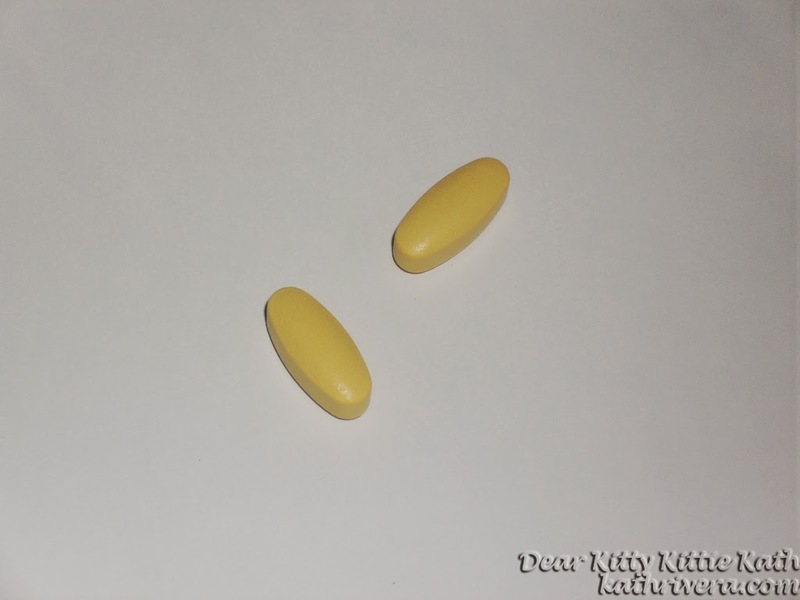 Mustard color caplets- I used the term caplet because this is a tablet in capsule form. It's solid and there's a shiny coating outside for ease of swallowing. Here's my right hand. 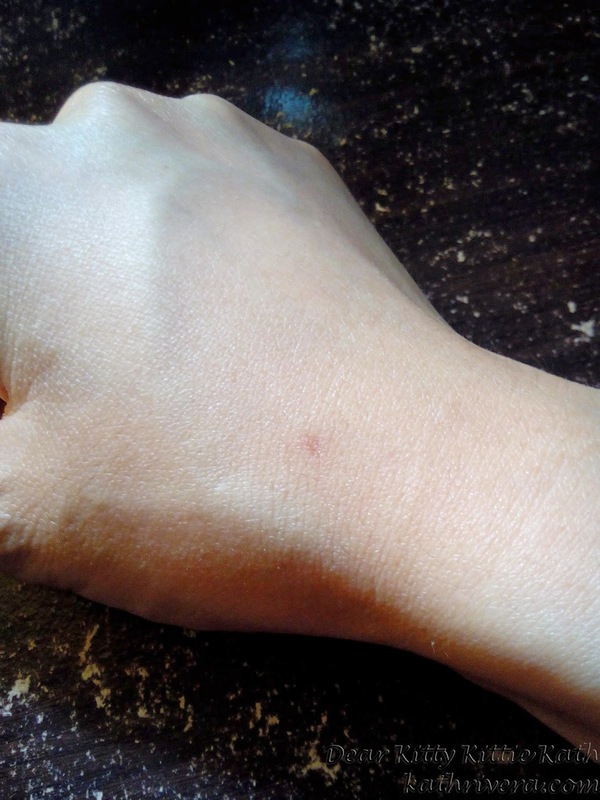 40 days ago, that light brown circle you see in my hand was very dark. It resulted from the oil that ousted while I was frying my son's merienda. My apologies, I wasn't able to take the before photo. Based on the photo above, the mark has lightened and almost invisible unless you take a closer look in real life. Comes in a handy bottle complete with product information. Can pass as odourless. This supplement doesn't have that foul rotten egg smell. In my opinion, it's because of the formulation. It's in caplet form. This glutathione contains Alpha Lipoic Acid, Vitamin C and Grape Seed Extract known as boosters to speed up the whitening process of the skin. 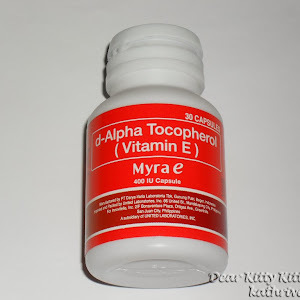 It also has Vitamin E, Rosehips and Collagen known as anti-aging and cell renewal supplements. It made my skin glowing even if there are times that I need to stay late at night. I noticed that it lightened the dark circle on my forearm that I got while frying. The oil ousted on my hand and it left a dark mark. See the photo above. If you have a GNC Gold Card, the price will be 20% cheaper than the original amount. It's expensive for budget conscious individuals. Contains only 250mg of Glutathione compared to other brands in the market. It's a bit hard to swallow because the size of the tablet/caplet is almost the same as calcium which I believe most of my friends had a hard time swallowing too. I give this a 4.25/5 rating. To those who want to achieve fair skin, I highly recommend this product because it's an overall supplement for the skin. 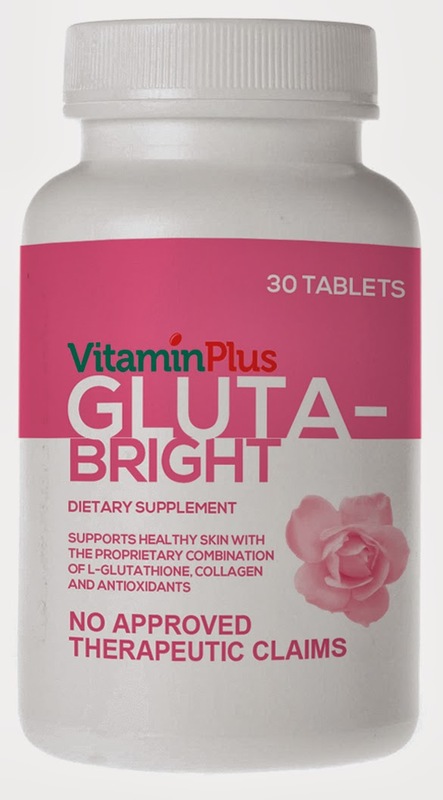 It contains not only glutathione but it has a decent amount of Vitamin C, Alpha Lipoic Acid, Grape Seed Extract, Rosehips, Vitamin E and Collagen. This supplement not only maintained my skin tone but it served as an ant-oxidant in my body because I'm exposed to second-hand smoke from my husband and also from other stress factors in the environment. So if you smoke, drink and always stay late at night this supplement will also help cleanse the toxins from those I mentioned above in your body. DISCLAIMER: This product was sent to me by GNC Live Well Philippines for review. The views expressed here are my honest opinion about the product. Yup, laki ng tipid :) Yes, I'm fair na dear used this for a month lang and naka-contribute din the pag maintain ng skin tone ko and nag-lighten yung dark mark sa hand ko na ang itim dahil natalsikan ng oil habang ng priprito ako. Thanks sis :) Oh, how many? Yes, this one is also good for overall skin care. Yes dear but sabi mo nga okay na rin kasi hindi lang pure glutathione. There's a combination of other anti-oxidants na can contribute to healthy skin inside and out. $40+ per month?! That's a little on the pricey side but as long as to continues to give amazing results, it's worth every penny! Yes but you get what you pay for so the result is really worth every penny! I've heard about GNC but your blog post answered all my questions...I've always wanted to try glutathione. Yay! 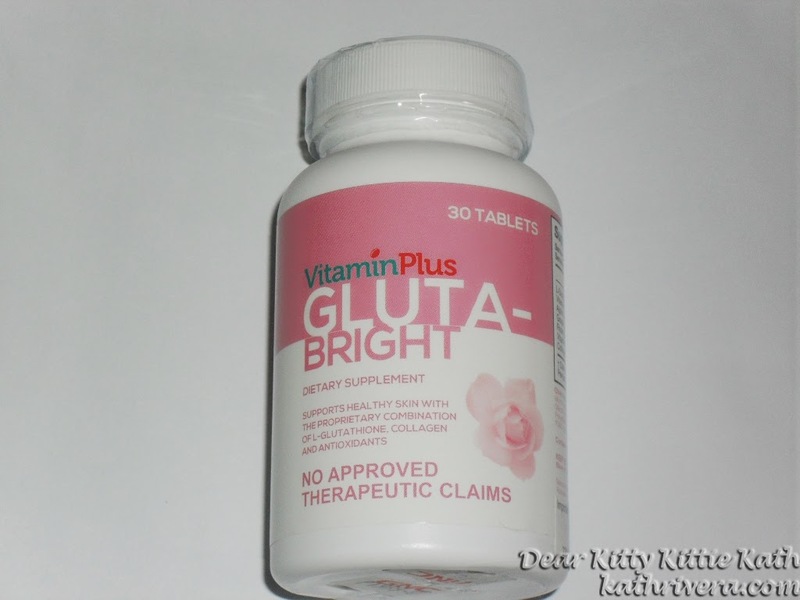 Thanks dear :) Hope you'll try this glutathione brand soon and let me know if you like it. 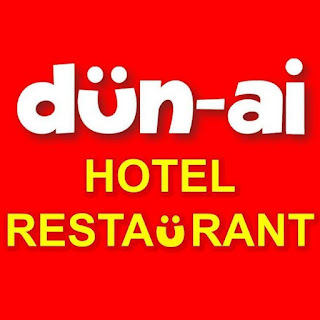 Hello this is my second brand. Both brands are for reviews only so I took it for just a month. 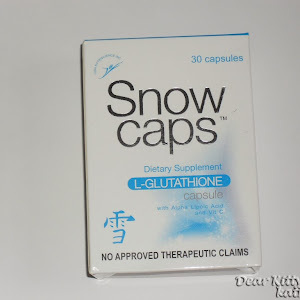 The difference on the first brand that I've tried was the glutathione content and the form (capsule vs caplet) and some of the ingredients that GlutaBright have. Yeah even if the product is expensive but is effective, people should really go for it! Yes, well said on that! Yeah, the gluta content is lower...for how long you've seen the effecT? After three weeks since I'm already fair to begin with that's why I don't see drastic changes as for the whitening department. I just realized I'm so dark now because of my training, maybe I need this one too. lols! I guess you need this together with a tough sunblock because you're always out in the sun! These days everyone wishing to look young by taking care of their skin,so in that respect this is a great and useful product. Supplement for younger looking skin...a whitening all though-out and the best. 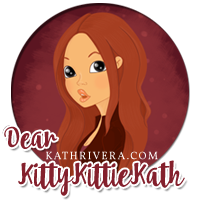 Hello Kat! Ganda ng bottle :) Yay, naku lagi din ako stressed sa puyat and pag-aalaga ng anak ko. I stick to the current skin care na hiyang ako. Saka nung hindi na ko masyado umiinom and nag stop mag smoke mas naging maganda skin ko. I only take grapeseed extract as maintenance and vitamin c and e naman kasi para sa fertility and bonus na yun sa skin. Wow, it's quite expensive. 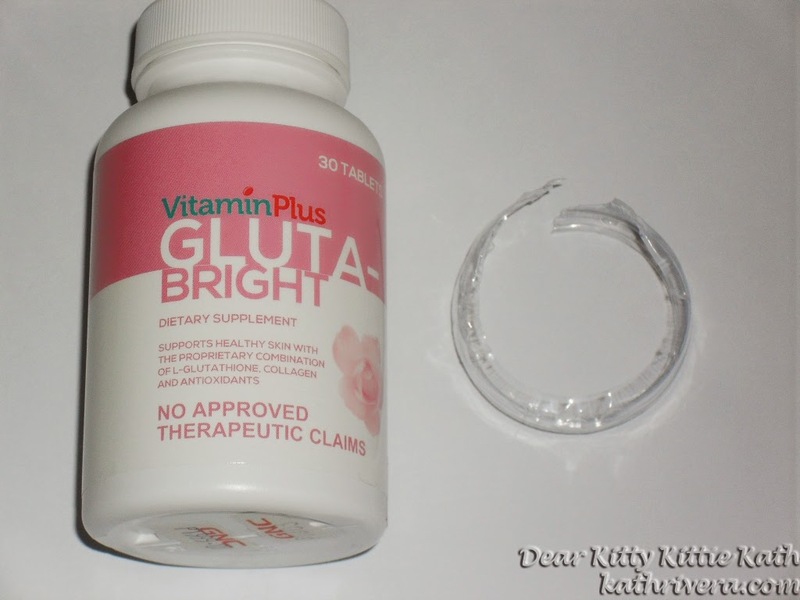 I would like to know if you have tried any other glutathione supplements besides this one. Yes, it's quite expensive but if you have the GNC gold card the price is the same as the competition brands in the market. Snow caps is the other brand that I've tried for review. great review! i think we must take good care of our body nowadays! Salute to you for loving your morena skin. If I was born with morena skin I'll be proud too! Buy the collagen sis, it will make your skin glow and young. Ok LNG po b mag take nito ang nag bebreastfeed?? Hello, it's not advisable for lactating or breastfeeding mothers. How bout delivery to Indonesia? Hello, this is exclusively available at GNC stores nationwide. This product is made talaga with that color kasi their campaign na GNC also has products made for women. Oo nga, parang folic acid lang na kadalasan pink ang color. Nkakaalis dn po b yan ng pimples? 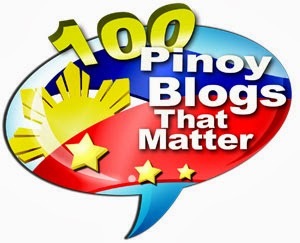 @Franchesca- yup :) @Julie Regalado- in the long run pwede kung matagal mo na iniinom to pero mas need mo ang topical skin care products for that case. Great review Kath, looks like a great product. Your readers should check out my page for GNC Coupons to save on their next purchase. Thank you for the review ms.kath.. 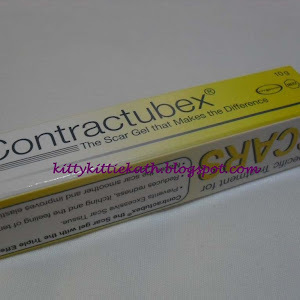 I saw this product before but i haven't tried it because its pricey nga, but since you have the review, i will definitely try this.. Im turning 33 now and I think its time for me to shine, after 2 yrs of giving birth to my son. thanks for the review. 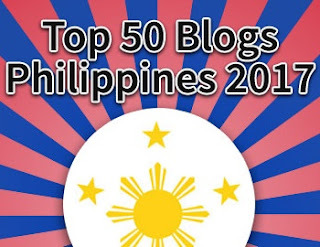 Thank you so much for visiting my blog and trusting my review. I hope this will give positive effects and results on you. 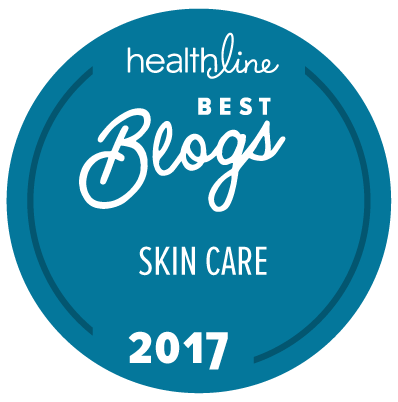 Yes, you have to take good care of your skin inside and out.